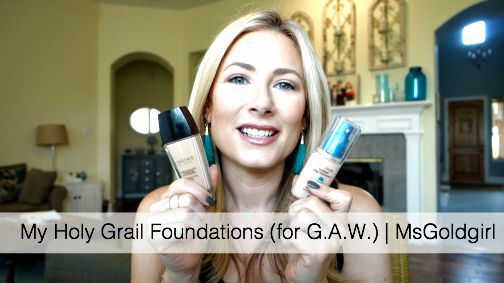 If you’d like to hear me talk about my top 9, holy grail status foundations, watch the video here. Otherwise, scroll down and take a look at my quick run-down of all nine of my favorites! Before we get started, I should tell you a little bit about my skin. I’m very fair, with dry, somewhat sensitive skin with a few old acne scars and fine lines. I typically wear shades that would fall into the MAC NC15-NW20 range, although I don’t like MAC foundations. I tend to choose foundations with medium coverage and a satin/semi-matte finish. This is my go-to “foundation” (technically a CC cream) for when I’m going to be outside, sweaty, casual, etc. It has an amazing, medium to full coverage with a satin/demi-matte finish. It smells fruity and clean, but not overwhelming. The shade range is limited and the colors run light. It’s best applied with fingers or a buffing type brush. Tip: Do NOT apply moisturizer under this-the CC cream will slide right off! I wear the shade Light, Medium when I have a tan. This is a drugstore pick (if you live in the UK or Europe) and is also available online in the US. If you like Chanel foundations, you’ll like this pick from their parent brand, especially since it’s priced for the drugstore. Healthy Mix is long-lasting, with medium coverage and a satin, slightly glowy finish. It’s best applied with a brush or Beauty Blender, but fingers will do in a pinch. I wear the shade 51 year round, 52 with a tan. It claims to be a 3-in-1 product that combines primer, concealer and foundation in one product. While the coverage is medium to full, I still need a little concealer on the stubborn spots. This is a bit heavier on the skin, with a semi-matte finish. It lasts all day. I apply it with a Beauty Blender for less full coverage, or a buffing brush (like the Real Techniques Expert Face Brush) for more coverage. I generally wear the shade 810 without a tan. Despite the fact that this did not lift or firm my face (how ridiculous), this did turn out to be one of my favorite and most used foundations. The finish is semi-matte, with medium coverage, but it feels lightweight on the skin. It’s best applied with a Beauty Blender or stippling brush, otherwise you can end up using too much product and it will get cakey. I only have two complaints-I wish there were a larger shade range and the packaging is clumsy. Still, I reach for it several times a week. I wear the shade Light, Light-Medium in the summer. This is the newest foundation to my collection and it quickly became a favorite for a very specific reason-it’s incredibly lightweight on the skin, and the finish LOOKS like I’m not wearing foundation, yet I’m relatively flawless. It has a semi-matte finish, and it’s best applied buffed into the skin with a brush. It’s a light-medium coverage, but it is buildable. The shade range is great. It smells funny, and it doesn’t last all day, but it’s great for the days when you want to look natural yet flawless. I wear the Shade 4.0 in the summer-haven’t figured out my regular shade yet. This has been a favorite for a LONG time. It is a satin finish, medium coverage foundation that makes me look flawless. It lasts a fairly long time, at least enough to get me through a long day. Theres’ no SPF, so it’s great for pictures and it’s a favorite with brides. You can apply it with fingers, a brush, or a Beauty Blender, depending on how much time you have and the kind of coverage you’re looking for. The only downside is that it doesn’t come with a pump, which you have to buy separately. I wear the shade Mont Blanc when I’m not tan. MUFE recently reformulated this foundation, so my review is really about the original, but from what I hear there’s a negligible difference. The best thing about this is the shade range-there are now 40(!!) shades to choose from, so there’s a shade for everyone. It’s a long-wearing, medium coverage foundation that has a satin finish. Since it also doesn’t have SPF, it’s great for photos or camera work. I like to apply it with a flat top kabuki brush. I’m in the shade N118 (Flesh) in the summer, N115 when I’m not tan. If I had to pick only one foundation to use for the rest of my life, it would be this one. Yes, it’s expensive, and the shade range is limited. But I get complimented EVERY TIME I wear this. Every time!! On camera or in person, nothing makes me look better. It’s a glowy, radiant finish that is medium to full coverage. The foundation is best applied with a buffing brush or Beauty Blender over moisturizer. It’s great for those of us with dry skin, and it doesn’t settle into fine lines. A nice bonus is that is lasts all day on me. I wear the shade Beige Clair most of the year, possibly going into Ambre Pale in the winter. This is my honorable mention foundation. If you need something that will last all day long, make you look flawless, photograph beautifully with a matte to semi-matte finish, then this is your foundation. I wore this for my son’s bar mitzvah last August. I applied it at 8 am and didn’t touch it up at all–and it still looked great at midnight when the party was over! However, since it’s pretty full coverage and long-wearing, I’m not sure it would be a great everyday kind of foundation. This is the kind you save for special occasions/situations. Plus, there are even less shade options than in the Lingerie de Peau. 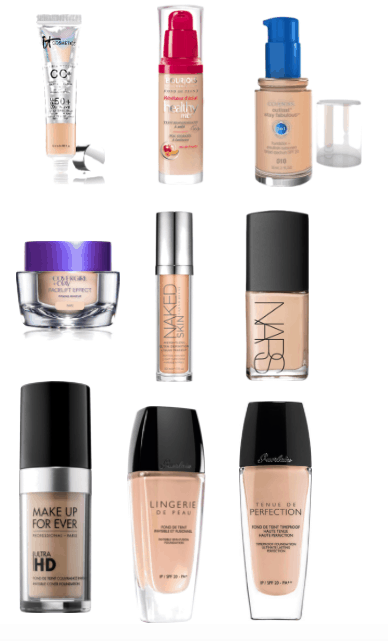 These are my (mostly) tried and true foundation favorites. I’m still eager to try the Giorgio Armani Luminous Foundation, the Clarins Extra-Comfort and something from Bobbi Brown. Which ones are your favorites? That is so sweet of you!! I am really not deserving of it (yet), but I really appreciate that you thought I did!! That’s as good as winning in my book! Hey! I have PCOS and have a very hairy face. It’s so embarrassing! I have such a hard time with foundations. It seems everyone I try magnifies every single hair! Any suggestions? DO what I do-shave your face! Loved the video. 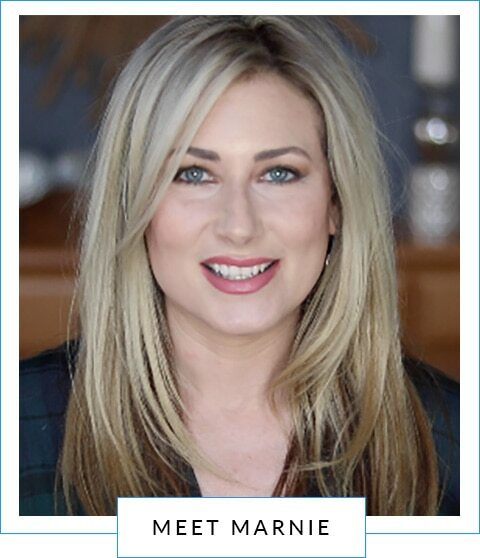 I am 41 and have noticed changes in my skin as do many other women during the aging process. I am thankful to you for sharing your experience and reviews. I tried a sample of the LDP because of you and loved it. When I went back to the store to purchase, they didn’t have my shade. One lady told me that I should try the Georgio Armani you mentioned above, and I got a sample. It wasn’t bad, but was a heavier coverage. Looked nice, but I still prefer the LDP. I have pretty nice skin and it makes it less obvious that I have makeup on. Love the luminous finish on my face. Just don’t like my forehead and nose like like looking shiny. I tried their cc cream for all over coverage and applied the LDP where I wanted luminousity and loved it. Expensive combo though! I do like the True Match Lumi foundation. It’s very similar to Nars Sheer Glow in the finish.